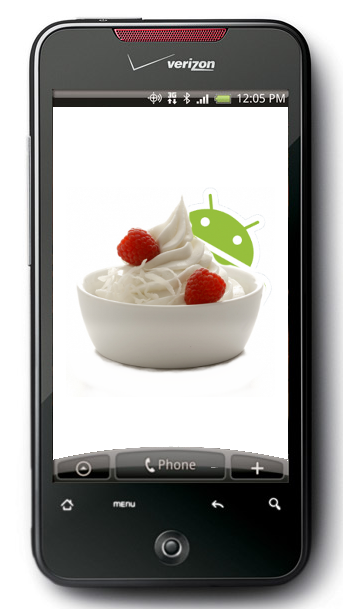 T-Mobile myTouch 3G To Receive Android 2.2 (Froyo) Update Starting Tomorrow? Well, this is interesting: TmoNews is claiming that the myTouch 3G will receive an update to Android 2.2 (Froyo) starting tomorrow. If true, the rollout will be staggered - beginning tomorrow and running until October 25. An important note, though: they provide absolutely no details on how they found this out, and the only image they use dates back to June when we heard the same damn thing. TmoNews has a pretty decent record as update leaks go, but without any details, it's hard to know whether or not this is one to back. Still, let's hope it's true - but take it with a grain of salt. We constantly hear about how smartphones are the evolutionary next-step in personal computing. Laptops sat atop this pedestal in the late 1990's, and tablets may soon come to share this title with their smartphone cousins. But there's a glaring issue with smartphones: the players in the smartphone industry are to smartphones what Taco Bell is to choice of meat in your burrito. There's not a whole lot of wiggle room, and it's an increasingly take it or leave it sort of affair. Update: As Artation has pointed out in the comments below, Universal Androot has since been removed from the Market for unknown reasons. If you're still heartbent on using it though, you can download it it from here. If you can think back to the time Universal Androot was released, you'll recall the then small xda-developers startup that allowed for one-click rooting of a very limited number of phones, all of which had to be running Android 2.1 Eclair or lower. 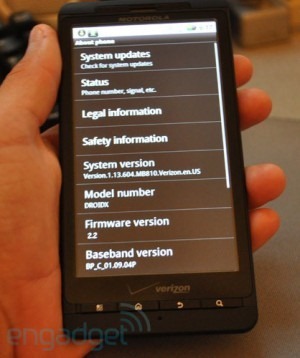 It seems the DROID X's overdue update may be coming a day sooner than previously thought. Wait, didn’t we just say yesterday that it would be coming on Wednesday? Yes, yes we did. I’d say right now that 9/22 looks pretty likely at this point. Droid-Life has pointed eager X users to Verizon's support page for the device, which has been updated with a PDF espousing the delights of Android 2.2, along with various DROID X-specific changes. Despite a lot of fun Motorola hardware leaks lately (even some love for AT&T), Moto would like to remind us that they aren't much friendlier than Apple when it comes to unintended dissemination of their intellectual property. 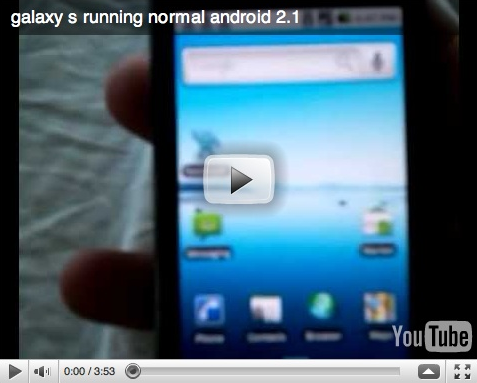 The recently leaked update to Android 2.2 for the DROID X has been quite a popular download for daredevil users, and apparently Motorola has taken notice. While the ROM is now undoubtedly in the hands of every modding and development community member who has any interest in it, that isn't stopping Motorola from issuing cease and desist letters (e-mails) to those hosting the file. It seems a few community developers (@barakinflorida) have been inching towards releasing a functional, bone stock version of Android 2.1 for the Samsung Galaxy S (That is, without Samsung's TouchWiz interface). Their efforts are paying off, as this video shows. The only big issues remaining lie in getting the camera/camcorder to actually, well, work. A relatively minor inconvenience, and a problem many developers have struggled with when developing full-ROM releases for phones with UI overlays. It's been 8 days since the original Android 2.2 Froyo update for the 1st Motorola Droid leaked out online, and Verizon has been taking its sweet time to make it available to the masses, leaving us guessing whether FRG01B was indeed the final version of this Éclair->Froyo update and whether serious stop-ship bugs were discovered. Turns out, nothing has changed - FRG01B is exactly the version that Verizon started pushing out to the Droids a few hours ago. 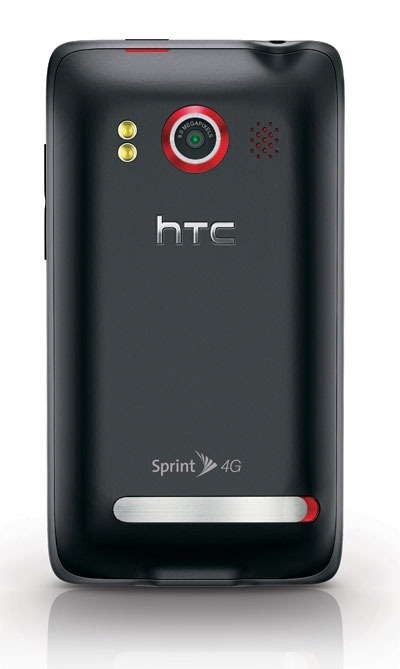 We’ve just received word that the EVO4G OTA to FroYo (internally known at HTC as update 3.26) is now available for download directly from HTC’s website. Link below. Update #1: we just received another word from HTC that this is NOT the final update. The final is going to go out next week. Update #2: all your settings should be preserved with this OTA. No data loss should occur. Here is a Stock 2.2 ROM with Sense based off the upcoming Froyo OTA. This is completely stock with the additions of su, Superuser.apk and busybox. A full wipe and 2.x radio is required. If you don't have a 2.x radio already you can find instructions instruction here.